Fitness Trackers, fashion accessory or health and fitness tool? New trackers have the ability to measure such things as heart rate, respiration rate and skin temperature. To appeal to new customers – some of them very new to fitness – they also come in alluring colors and shapes. 1 Do Fitness Trackers Work As Well As They Look? 2 Tracking as Encouragement to Involvement in Fitness Activity. 3 Tracking with Personal Training Advice. 4 Fitness Trackers for All Activities. Do Fitness Trackers Work As Well As They Look? The common consensus appears to be that the most basic fitness trackers – the ones that only measure activity such as steps taken and number of hours slept – may do little to improve actual athletic performance. Some of them, in fact, may not even be as accurate as advertised when it comes to counting steps. Also, remember – you’re typically wearing these fitness trackers on your wrist, and that’s probably not the best part of your body for sensors to measure factors such as heart rate! Tracking as Encouragement to Involvement in Fitness Activity. Basic fitness trackers are gateway devices for amateur athletes to get involved in fitness and learn how certain types of physical activity impact their body’s health. They enable the new fitness enthusiast to monitor their heart rate at a glance to see how hard they are pushing themselves. They can also track their sleep patterns over time. A tracker can become a daily motivational tool to keep up with your peers. At any time, you can compare how many steps you’ve taken with your friends. Tracking with Personal Training Advice. 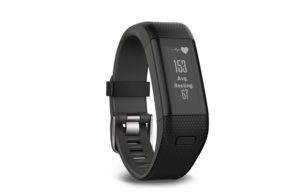 Vivosmart HR+. Personalized Tracking and Training. Where things get interesting, however, are with the fitness trackers that sync up with your smartphone. Some fitness bands deliver small vibrations whenever you’ve received a text message, for example. Some trackers help you to create a personalized fitness routine once you download third-party apps to your smartphone. By seeing your workout data in graphical form, you can plan workout routines that better meet your fitness goals. Fitness Trackers for All Activities. The most specialized fitness trackers can be used for more than just running. There are waterproof fitness trackers for swimming and fitness trackers designed to measure the activity from hiking and biking. If you intend to get your cardio activity just from walking and running, you may not need one of the more specialized fitness trackers. But if you’re swimming, biking and running, you might find that you’re not getting accurate results. The good news is that there are plenty of fitness trackers available for fitness enthusiasts in every budget category. There are fitness trackers that you wear around your wrist and ones that you clip on to your clothing. As a general rule of thumb, the most affordable fitness trackers only measure basic inputs, such as steps taken and sleep patterns. As you get into higher price ranges, though, you can get an optical heart rate tracker rather than just LED readouts. And at the highest price points, you can get GPS tracking, waterproof fitness bands, and trackers that sync with your smartphone. 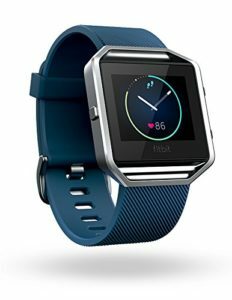 At the high end of the pricing range, both the Fitbit Blaze and the Garmin Vivosmart HR+ are worth a closer look. For just over $100, the Fitbit Alta is a stylish new option that comes in some attractive colors. At the lowest price point, the Chinese company Xiaomi offers a number of affordable options, including the Mi Band 2 and the Mi Band Pulse. For anyone thinking about starting a new physical fitness routine – especially weekend athletes and older adults – these fitness bands can be a useful tool for monitoring your body’s performance. 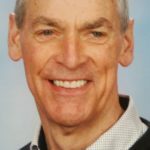 They may not help you win your next 10K race, but they will help you have a better appreciation for the very profound link between fitness and wellness. Click on the links or images above to get more information and the best deals from Amazon for Fitness Trackers. Lift your exercising and fitness training to a new level.